Million Dollar Cold Case is an Australian crime documentary series written for television in which viewers are encouraged to provide clues or leads that can lead to the solving of unresolved murder cases. A case-solving clue is rewarded with one million Australian dollars. 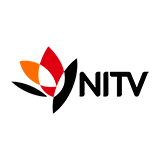 For the show the network works together with the Homicide Squad Cold Case Team, a team of experienced and often retired detectives. 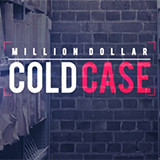 For each episode of Million Dollar Cold Case the Homicide Squad publishes their files on a cold case, which usually includes detailed information on the suspects, the victims, and the investigation at the time. The idea behind the concept of the show is that there must be someone out there who knows something about an unresolved murder, and a one million cash reward might be enough to convince those people to reveal the truth. The suspicious death of a 54-year-old farmer, the mysterious disappearance and then murder of a young football star, and the cowardly and callous murder of a defenceless elderly woman. The murder of a 25-year-old nurse dedicated to helping others, the brutal killing of a young man searching for love, and the senseless murder of two teenagers left for dead by a busy highway. A one million dollar reward is on offer for anyone who can help solve these crimes. One is the murder of a mother and her nine-year-old daughter in their suburban home. Police reopen the files on some of the country's most shocking murders. This episode, the brutal stabbing of a mother at work, and who killed a 16-year-old school boy in a busy shopping centre? A one million dollar reward is on offer for anyone who can help solve these crimes. One is the murder of a mother and her nine-year-old daughter in their suburban home. The other, a family man who was bludgeoned to death after a possible love triangle.